Over all the time that I’ve been a developer I’ve had people telling me that I should get in front of an audience and speak. However I’ve always suffered from a rather bad case of ‘Imposter Syndrome’ which meant my automatic response to those kind of statements has always been… I don’t really know enough about any one topic. This is very true, I’ve spent a lot of my career learning a really broad swathe of technologies and techniques so I can turn my hand to any task that’s been presented to me so far. Even so people continue to try convince me that it would be a worthwhile pursuit. Now that I work at Magma Digital I find that I’m often talking with @phpcodemonkey about all sorts of things and the topic of creating a talk came up while we were enjoying the most excellent PHP South Coast Conference. 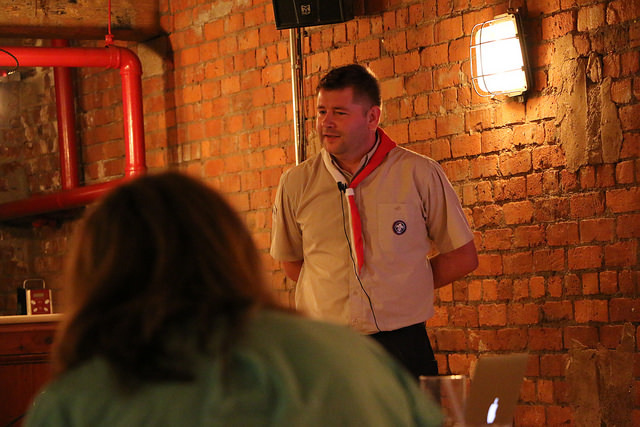 He knows I’ve been a Scout Leader for around 4 years now, and he suggested that I do a talk on the ‘Boy Scout Rule’. I don’t know if he was serious or not at the time but it set my mind racing! This is a topic that I actually know quite a lot about! So I’m now going to leave behind the Dev in Charge and have now rebranded as the PHP Boy Scout. 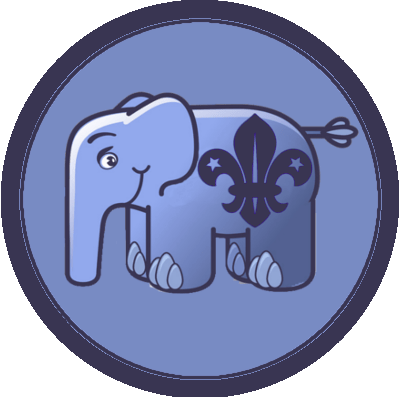 I’ve already managed to pull together the basis of a talk on how Scouting principles can be used in conjunction with what we do as Developers and have a few other ideas that I’m going to work on over the next few weeks. Fingers crossed I will be better at doing this kind of thing than I suspect I will be… but nothing ventured and nothing gained! I’ve been a Scout Leader for a few years now and the District I work within have very little by way of internet presence. 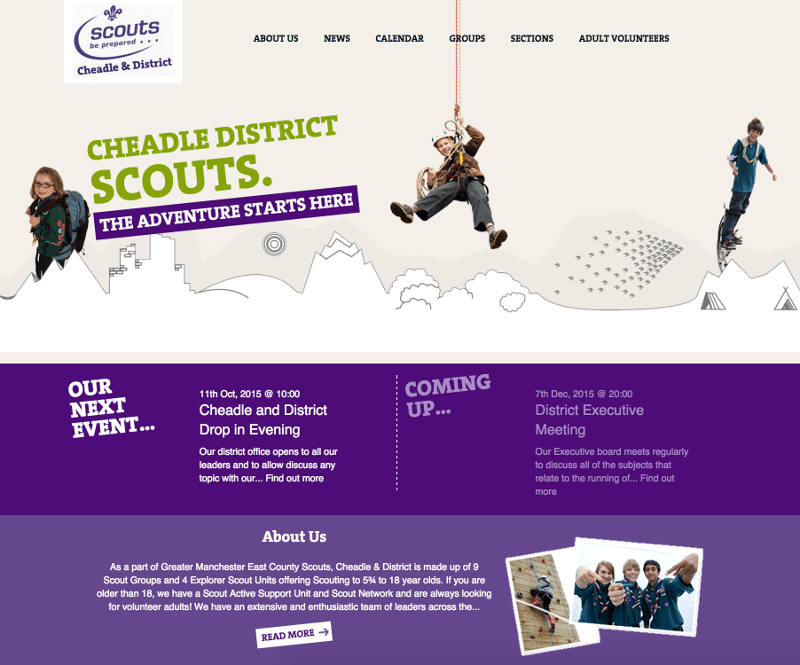 As a bit of a pet project I started building a simple Scout based website for them to use. So… Its been a long time since I posted anything of any relevance. This is due to having been super busy with my previous company Zucchi. However that has all changed now! After three and a half years of running my own company I have decided that its not for me. I gave it my all, but in the end I was becoming too much of a Salesman and I missed getting stuck in with code. I’ve now moved on and have joined the fantastic team at Magma Digital who have been leaders in PHP software development for somewhere in the region of 14 years as well as heavily involved in the PHP community having been a essential part of the PHPNW user group and conference. This means I should be able to pick up where I left off all those years ago and start being more active again. Despite having been around for a while and having been through a couple of revisions, its support across browsers can vary greatly. From “Candidate Recommendation” on Chrome/Opera, “legacy flexbox” on Firefox and no support at all on IE9 and earlier. Making flexbox work consistently across browsers was a challenge for us on a recent project, but I have found a solution that seems to work quite well. However looking at the Controller Documentation it was not clear how to create a route without an Action being supplied. In our example above the action is not specified, as we just want to use ‘view’. We recently tried to use composer to set up SilverStripe 3.1, but ended up with a dependency nightmare. In order to work around this we decided to make use of Git submodules. Next set up a site directory for the code inside your Git repository. Then navigate to SilverStripe Installer in your browser and Download a copy. Extract files, and copy contents to site folder. Now we need to add the CMS and Framework. Navigate in a browser to the Git Hub repositories for CMS and Framework. Now copy the HTTPS clone URL for each project and run the following, to add these as Git sub modules. We recently ran into problem using Doctrine 2 connecting to a Rackspace Cloud Database using the MySqli Driver. We have a long running PHP script that can sometimes run for hours at a time whilst processing information. This script requires a connection to a database, but has long periods of inactivity where there is no actual interaction with MySQL. By default MySQL uses the “wait_timeout” setting which states, how long an inactive connection can exist before it is killed. This is normally fine with web pages requests, as it is usually a short lived request. Unfortunately you do not have the ability to alter this setting when using Rackspaces Cloud Database. When using the MySQLi extension you can create a connection in “interactive mode” by passing the “MYSQLI_CLIENT_INTERACTIVE” flag, which will then use the “interactive_timeout” setting. On Rackspace this is set to 8 hours! Annoyingly Doctrine does not allow you to pass any flags to the MySQLi Connection. So we overrode Doctrine\DBAL\Driver\Connection with our own Driver which then allows us to pass a “flags” parameter through.